I'm not sure I buy the Wii comparison. The Wii showed natural(ish) movements for what people were doing that it actually appeared as playful, swing a bat, throw a bowling ball, etc. In a way MS are going for their own 'blue ocean' approach but outside of gaming. People should play The Gunstringer on Kinect. As did Dance Central 2 and Kinect Adventures. My daughter really liked Kinect Sports, too. I guess the real problem is that the kinect seems to be most suitable for the type of games I'm not interested in playing. I admit that if I was to try a few of those examples I may well be a convert. The Kinect was essentially a Dance Central 2 and Fruit Ninja accessory for me. I found the voice commands to be sort of silly and impractical. It was annoying to have it overhear me talking to someone in the room and think I wanted to pause my movie or bring up the guide or something. I found the voice commands to be sort of silly and impractical. It was annoying to have it overhear me talking to someone in the room and think I wanted to pause my movie or bring up the guide or something. It sounds like the star trek communicator problem to me, for all the advances in voice (or body) recognition, they still need to apply intelligence to it so it behaves correctly, a social awareness if you will. Yes, but then you're not taking into account the resulting dystopian future in which our Xbox machine overlords control us. Some time in the 2020s MS CEO Phil Spencer sits atop a matte black throne of melted Elite edition 360s. Spencer: Xbox... Make Evo watch iron chef.... Then, when he gets invested, switch to Bridezilla. "Let's see if he can keep up with the Kardashians NOW! MuhahahAHAHAHAHA!" So what's the downside to a friend buying an Xbox 1, and them buying all the games and just adding me as a family and when he's done with the games I get to play them at my house whenever? Because in that case I'm down for it, it would actually save me some money and yeah, sounds good. We can play at the same time as long as it's not the same game, right? On different consoles and locations. If it works like the old family plan, he may have some level of control over your account. If it's an adult account, I don't see other than doling out points money to the child accounts, etc. 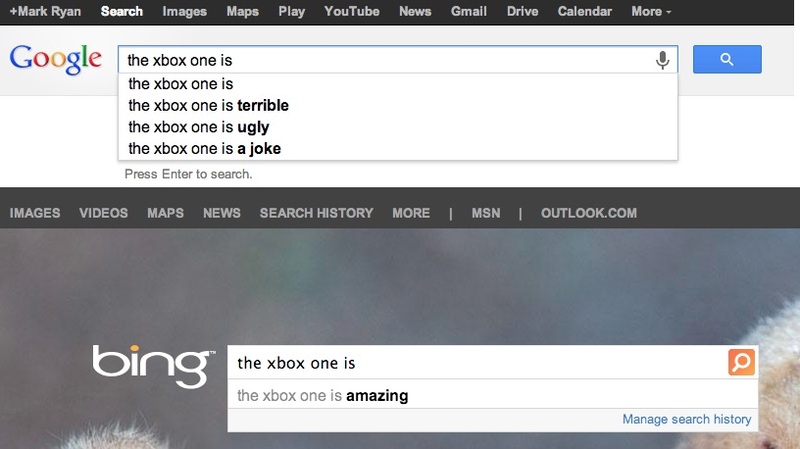 Sounds good to me, seriously considering an Xbox now... Microsoft is terrible at selling their stuff man. I think this is a growing consensus about the new arrangements. I'm going to love lending games without ever moving a physical disc. The only downside I can see is that I very much doubt you can be a member of more than one family plan at a time, and switching family plans whenever you want seems to be far too susceptible to abuse for me to imagine MS would allow that. If you only EVER borrow games from one person, then great, but I can see all sorts of annoyances involved with wanting to lend a game to someone not in the same family as you, and they don't want to leave their current family because all their game purchases would no longer be part of THAT plan..
Basically it seems like a recipe for disaster for anyone who lends games with any frequency. Most notably it'd be a complete loss for my kids, as I can't see all of their friends being on our family plan (since they'd likely be on their actual FAMILY's family plan). I boycott the xbox one, simply for the no offline functionality. Which is sad. I really would like to get a xbox one, but why would I invest into a console that will eventually stop working, MS eventually will halt support and shutdown the xbox one servers. I would love to buy an arcade xbox one to play Killer Instinct, but it seems I am out of luck. Crossposting from the post a picture thread. I will weep for you while I enjoy my XO and discless-sharing with my "family." "Why would I invest in a console"
Seriously? It's video games, not a retirement plan. Maybe he's a collector? I don't know if I agree with the specifics (I bet when XBone servers do come down, the game check-ins are no longer required), but even the possibilities contribute to me leaning away from MS.
As I grow older, having the games I loved in the past is becoming more of a priority. If I ever have kids, I'd like them to be able to play Smash Bros. Melee or Secret of Mana with me. XBox 1 or XBox One? I see no downside on buying XBox 1 games. Apologies for skimming, but all this game sharing business seems too friendly to be true. Can you link any old gamertag, or do you need to specify the accounts upon creation? As in, if I were to buy an XBone, and my old roommate did, could we both use our existing 360 gamertags and become "family"? I'm still not interested because of development history, but I'd like some clarification from those that're paying more attention. It's still a bit unclear, but it sounds like the basis is the old family plan, which was any gamertag. The idea is that ten people in your family group can all share your games. Think of it like a loaning system, but you're not loaning anyone a phyiscal product. If you're in my family group, you can play my games, and vice versa. So that answers one question: Microsoft doesn't seem to care whether or not the ten people in the group are actually family members. They can be friends, roommates, boyfriends, girlfriends, your dog's groomer… you pick ten people, and you share games with them. Since its announcement, there has been some confusion over the details of sharing your Xbox One game library with up to ten "family members." Mehdi couldn't give comprehensive details, but he did clarify some things. For one, a family member doesn't have to be a "blood relative," he said, eliminating the extremely unlikely possibility that the Xbox One would include a built-in blood testing kit. For another, they don't have to live in the primary owner's house—I could name a friend that lives 3,000 miles away as one of my "family members" Mehdi said. You'll be able to link other Xbox Live accounts as having shared access to your library when you first set up a system and will also be able to add them later on (though specific details of how you manage these relationships is still not being discussed). The only limitation, it seems, is that only one person can be playing the shared copy of a single game at any given time. All in all, this does sound like a pretty convenient feature that's more workable than simply passing discs around amongst friends who are actually in your area. Nobody around here seems to believe what they're saying, and the crowd is definitely trending PS4. If this all turns out to be true, wonder if some of the hive mind will rethink things, check ins be damned? For me, it would potentially save me significant money with just me, my wife, my two daughters, and my soon to be son-in-law linking up. Nobody around here seems to believe what they're saying, and the crowd is definitely trending PS4. If this all turns out to be true, wonder if some of the hive mind will rethink things, check ins be damned? Can we just stop this nonsense? I didn't say that as a negative. But there's more community seeming to go PS4 than XO. And I can totally understand that perspective. So could you say "the GWJ consensus" or "the way the winds are blowing around here" or something like that? "Hive Mind" isn't a compliment. I'm a filthy skimmer, but in case no one has made the point: I think the higher price point would have gone down a lot smoother if they had showcased ANYTHING that put the added value of Kinect 2.0 on display. Instead it was just a matter of "You have to have it and it costs $100 more." At least show me some tech demos. I'm not mini modding. Just asking why we're having a console war on GWJ. If all of the things Mannish explains comes true the XBox One will fit most of my requirements, especially the "lend games to my brother" scenario. So yes, I'd consider it. But as an individual and not as part of an unthinking collective. I'm not mini modding. Just asking why we're having a console war on GWJ. Sorry if that came off wrong to you, but that's totally not how it was meant. And I'm not in a console war. I don't plan to buy either one unless talked into it by the family. I'm waiting it out for awhile before I buy either, and I can totally see buying both. They did in the first conference, and they had plenty of journalists at that event showing tech demos on vids to the public, as well as at E3. Interesting. I thought I was following everything pretty closely and I haven't seen anything. I don't recall anything being shown at the first conference so maybe it just didn't make an impression on me.